Mailpopin - Supercharge your Stripe notifications with contextual metadata. Finally receive useful information by email each time a new payment has been successful on Stripe! If you need anything else, don't hesitate to contact us! Supercharge your Stripe notifications with contextual metadata. 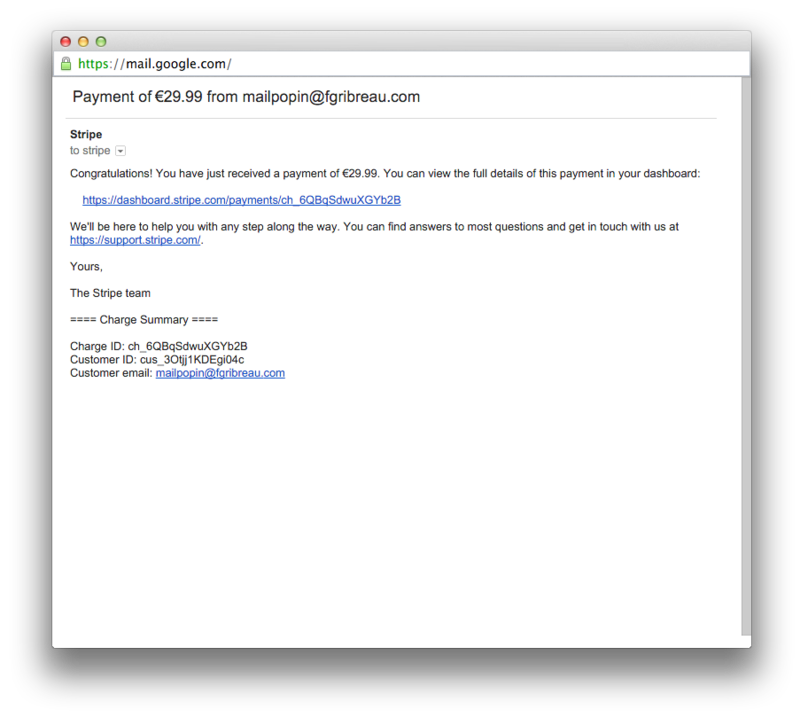 Finally receive useful information by email each time a new payment has been successful on Stripe! 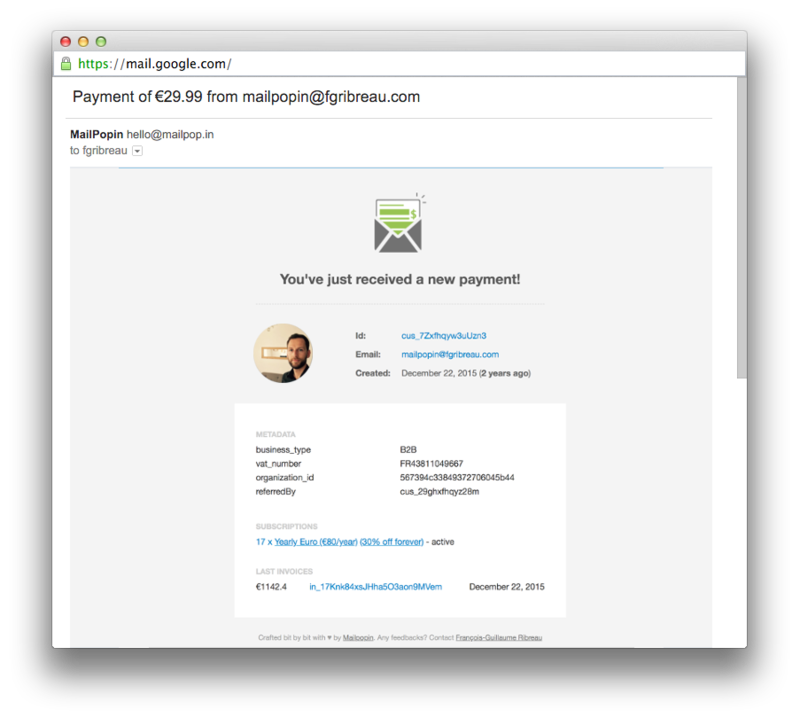 Mailpopin was created by François-Guillaume Ribreau in a bank holiday afternoon. He deeply needed this tool for its own SaaS, Redsmin, a fully-featured GUI for Redis and Image-Charts, the easiest way to embed animated charts in emails or bots. This service was made scalable since day one thanks to Clever-cloud. Stripe is a registered trademark of Stripe, Inc. and is not affiliated with this website. Mailpopin design was deeply inspired by Stripe website.